Our Toddler Program hours are from 9:00am-11:30am. The child must be 2 years old and does not need to be potty trained. The class has a maxium of eight children and has two teachers. 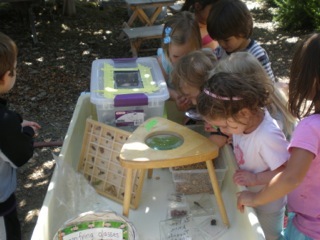 Our Preschool Program hours are from 9:00am-12:45pm. The child must be 2 years and 9 months old to be admitted. The class has a maxium of twelve children and has one teacher. Early Care is available at 7:30am. 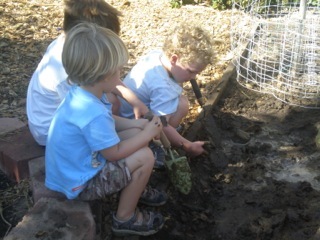 Late Stay is offered for Preschoolers until 5:30 Monday-Thursday and 4:00pm on Fridays﻿. 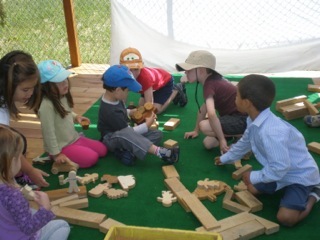 Enrichment programs are offered for Preschoolers from 12:45-1:20pm. Some of our Enrichment programs are Spanish, Cooking, Soccer, Tae Kwan Do, Art, Music and Dance. Temple Beth Torah Preschool offers the parents the opportunity to be involved as much as they want. Since we are a tuition based non-profit school, parents are our partners in the education of their children. Parents have the opportunity to get involved in the classrooms, in our garden, our yearly fund raiser, educational programs, selected events, snow day, harvest festival, circus carnival day, popcorn movie night and so many other activities. Each of you are very important to us and we will work with you and your family throughout the year in making this the best preschool experience for your child. We are very careful about the health of our children so we are very strict about illnesses that children can spread. We ask that parents keep sick kids home, that they follow the policy of the school and work with us in maintaining a healthy and safe school environment. 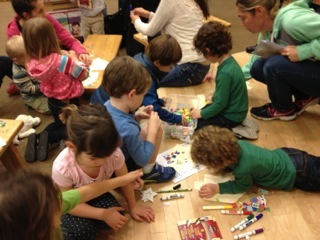 Copyright 2014 Temple Beth Torah Preschool Ventura. All rights reserved.